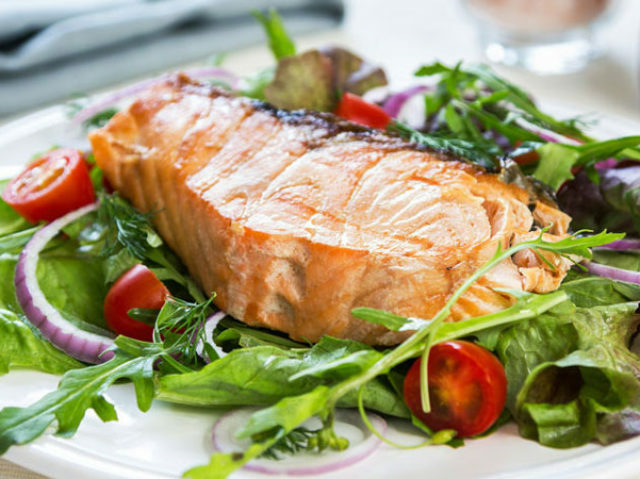 An important tool for body composition and athletic performance is a high-protein diet. Not only does it help you build muscle mass but has a key role in supporting healthy and sustainable fat loss too. Protein is an everyday nutrient with important benefits for health, performance and body composition. However, there’s still a lack of understand as to how it fits into a muscle building or fat loss diet. Evidence points towards a higher intake of this important nutrient. But exactly how high is high? And what sources promote the best improvements in the way you look, feel and train? This article takes a detailed look at protein and the effects if has on mass, body fat and overall health. As the main macronutrient responsible for growth, repair and regeneration of lean tissue, protein is key in any muscle-building diet plan. Protein is one the three macronutrients that provide energy. Along with carbs and fat, protein is needed in large amounts for proper body function. The roles of protein – why do you need it? Growth, repair and maintenance of tissue – used to build and maintain bone, skin, hair and nails. Protein is what makes up the structural parts of muscles too. Antibodies – immunoglobins form the first line of defense and help to fight infections by binding to bacteria and viruses. Enzymes – enzymes are important biological molecules that help your body maintain homeostasis by acting as catalysts. An example of this is saliva amylase which is an enzyme that breaks down starch when you chew food and helps with digestion. Protein is made up chains of peptide molecules strung together like a beaded necklace. And these peptide beads are made up of individual molecules called amino acids. These are often referred to as the ‘building blocks of protein’ as they are essentially the bricks and mortar that form strong cell structures. There are hundreds of amino acids combinations, but only 20 (sometimes 22 dependent on which textbook you’re reading) that are proteinergic. In other words, there are many different combinations, shapes and structures of proteins, all made from a limited number of actual aminos . Essential amino acids are those that you must get from the diet. There are 9 in total. Your body can’t make or manufacture them and needs to obtain them from food. Examples include tryptophan, phenylalanine and the branched-chain amino acids (BCAAs) leucine, isoleucine and valine. Non-essential amino acids are made by your body when you don’t get them from food. However, this takes valuable energy and it makes sense to get them from your diet whenever you can. Examples include glutamine, tyrosine and proline. Proteins are made up of amino acids. These form long strings of peptides, which in turn make protein cells. All protein-based foods can be categorized by its essential amino acid content. Complete foods contain all the essential amino acids. They’re preferable in terms of maintaining cell structure. hormone and enzyme production and all other benefits that this important macronutrient offers. Incomplete sources have one or more essential amino acid missing from their chemical structure. It’s worth noting that just because some foods are incomplete doesn’t mean they’re useless. In fact, combining incomplete proteins (for example grains and beans) in one meal will still give you the full profile of essential amino acids. A vegetarian or vegan diet can still result in adequate protein intake, even in elite level athletes . Key Point: Complete protein foods contain all essential amino acids, whereas incomplete ones are missing at least one. How does eating protein help me build muscle? As the key nutrient for muscle growth, it’s important you prioritize protein in your diet to maximize accretion. The three macronutrients are important for muscle health. Anabolic hormones such as testosterone are synthesized from fats. And carbs (stored as glycogen in muscle cells) are used by the body for energy during exercise. But it’s only protein that can actually create new cells. It’s the most important macronutrient when it comes to maintaining, repairing and growing muscle mass. Every minute of every day your muscles are at war with themselves. Through normal metabolic functions, your muscles are fighting to balance the destruction of old, worn out muscle cells, and creating new ones to take their place. 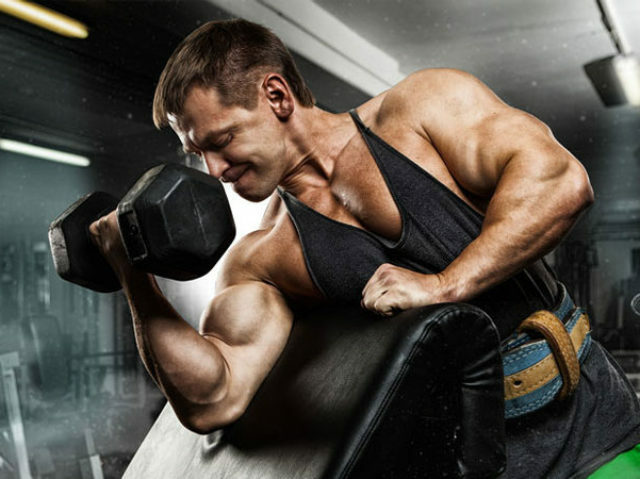 Muscle protein synthesis is the process of building muscle mass. Only protein can build new muscle cells. Think of your muscles as a strong, formidable wall of bricks. 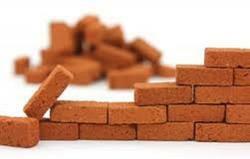 Degradation occurs when some of those bricks are knocked down. This makes the wall weaker and smaller. But if you keep laying more and more bricks, your wall becomes stronger, bigger and more robust. This is how muscle mass is grown. When the rate at which you synthesize new muscle cells outweighs the rate at which you degrade cells, you achieve net muscle protein synthesis (MPS). This is essential for good recovery from intense exercise, regeneration of muscle tissue and growth of new mass. When it comes to building muscle, you need to focus your attention on amino acid intake. It’s only by regularly and sufficiently getting aminos in your diet that you’ll promote MPS. Studies show that higher protein intakes lead to accelerated muscle growth because they promote an increase in MPS. Vegetarian foods such as beans, chickpeas and nuts are better non-animal product sources. 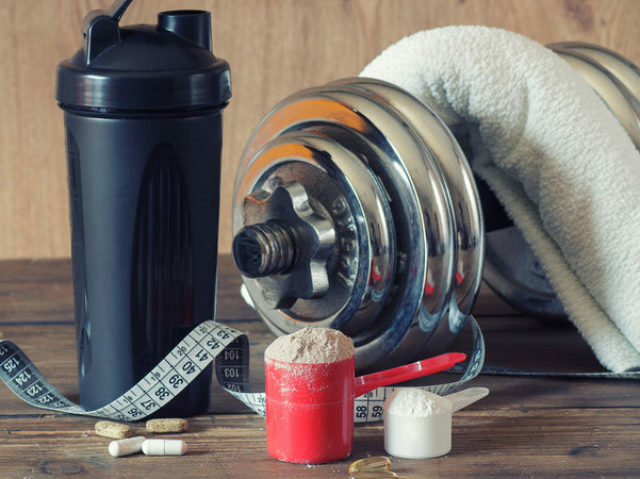 It’s worth noting though that leucine on its own isn’t enough to grow muscle mass – to optimize results, you need all essential (and non-essential) amino acids from food. This is why the above foods are better for MPS compared to BCAA supplements, which have been found to be largely useless in those taking in enough protein from a normal diet . The main function of protein in the context of exercise is its ability to restore damaged tissue. When you lift weights, you create microscopic damage to your muscle cells. After your workout has ended, protein helps to build these damaged fibers and fuse cells within them together to make new ones. As new fibers grow, the overall thickness of the muscle increases, making it look bigger and fuller. There are various cellular pathways involved in this process. Muscle protein synthesis, anabolic hormones and muscle stem cells called satellite cells are also important . Satellite cells sense damage created by strength training and when activated, donate their nuclei to the muscle fiber, contributing to its growth. It’s complex science, but all you need to know is that lifting weights is the trigger for muscle growth, and protein is the defense. It builds and repairs the damage caused by progressive overloading the muscle in the gym. Strength training kicks off muscle growth by creating cellular damage within muscle fibers… but it’s protein that helps to repair it and build back stronger. Why do I need high-protein to help me lose weight? Maybe bulking up or growing huge muscle mass isn’t your thing? It could be that you just want to get lean, shred body fat and develop some functional, athletic muscle instead? You’ll be pleased to know that protein doesn’t just build muscle but helps you lose weight or body fat too. 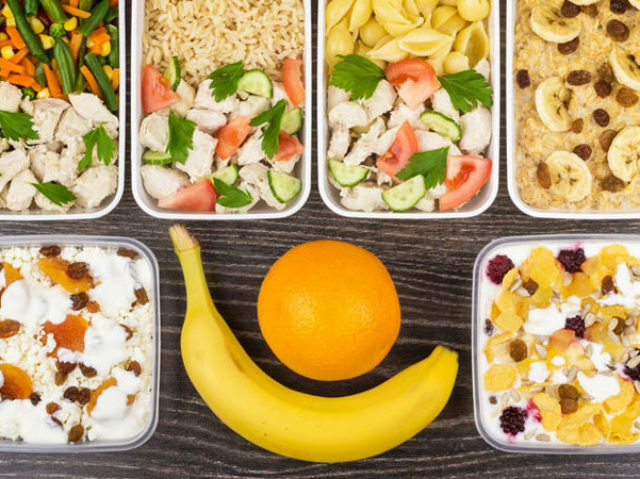 Research shows that those with leaner physiques eat plenty of protein… and it has a dramatic effect on both metabolism and satiety. 60-75% of the calories you burn each day comes from what’s called basal metabolic rate. This is essentially the energy you burn just to support basic functions such as heart rate, brain function and muscle mass. The more muscle you have, the more calories you burn… even at rest. Okay, the difference isn’t huge, but it all adds up – especially when that muscles is moving like during exercise. Not only that, protein is a thermogenic. When you eat high-protein foods, your body must work hard to digest and absorb it. Ever heard of the ‘meat sweats’? Protein literally warms your body up and burns calories. Studies show that eating high-protein can boost your metabolism by as much as 35% . There’s an inverse relationship between thermogenesis and digestion when it comes to protein. Because its thermogenic power is so strong, it actually takes a while to break down, digest and absorb it. This makes it perfect for keeping you fuller for longer – what’s called satiety. Studies show that protein regulates important appetite-controlling hormones such as peptide YY and GLP-1. Protein also reduces concentrations of ghrelin – a hormone released by the stomach that increases feelings of hunger . Last of all, adding protein-rich foods to your diet will result in lower overall calorie intake. In a study published in the American Journal of Clinical Nutrition , those with higher protein on their plate ate far less food overall. Volunteers with 30% of food coming from protein consumed nearly 450 kcal less than those with 10%. 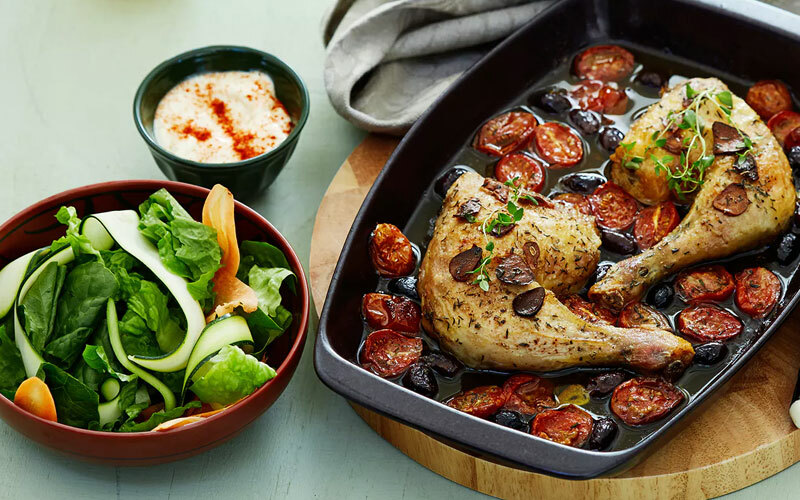 Over a typical 3-meal per day diet plan that’s a whopping 1,350 kcal fewer calories! Protein supports healthy weight loss by boosting metabolism, reducing hunger and elevating calorie-shredding muscle mass. Evidence shows while quality of protein (complete vs incomplete) is important, it’s quantity that plays a key role in maintaining healthy body composition and athletic ability. Government guidelines suggest a daily intake of 0.8 grams per kilogram. However, this is based on sedentary adults and designed as a minimum requirement to avoid deficieny. There’s value in boosting that intake – especially if you exercise regularly, want to build muscle mass or lose weight. 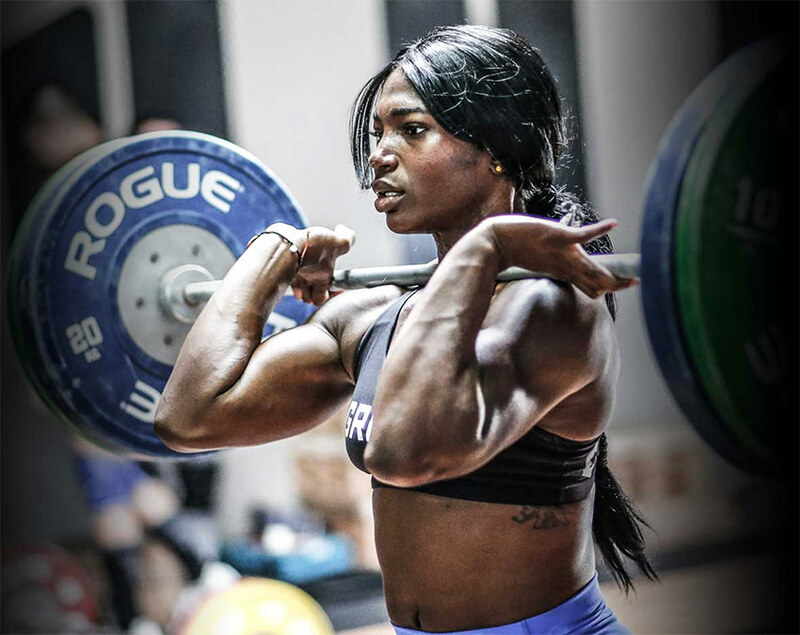 Experts currently suggest that athletes consume 1.3-1.8 grams per kilogram for muscle mass, weight loss or athletic performance . This higher recommended intake considers the need for muscle high-protein synthesis. It’s designed to generate optimal MPS and to shred your way to single-digit body fat. You’ll be pleased to know it doesn’t really matter when you eat protein. Just how much. It’s common for guys to chug a protein shake as fast as possible after a workout in hope that they’ll hit their so-called ‘anabolic window’. In reality, it doesn’t matter when you consume protein, as long as it’s regular and helps you reach your recommended daily total. Studies show that even though nutrient timing is thought to enhance protein absorption after exercise, no such window of opportunity exists . Grabbing a protein shake is a simple and effective way of upping your daily protein intake… there’s just no need to rush it post-workout. Simply aiming for 20 grams of protein or so every 3-5 hours is more than enough to spike MPS and trigger muscle growth or fat loss. 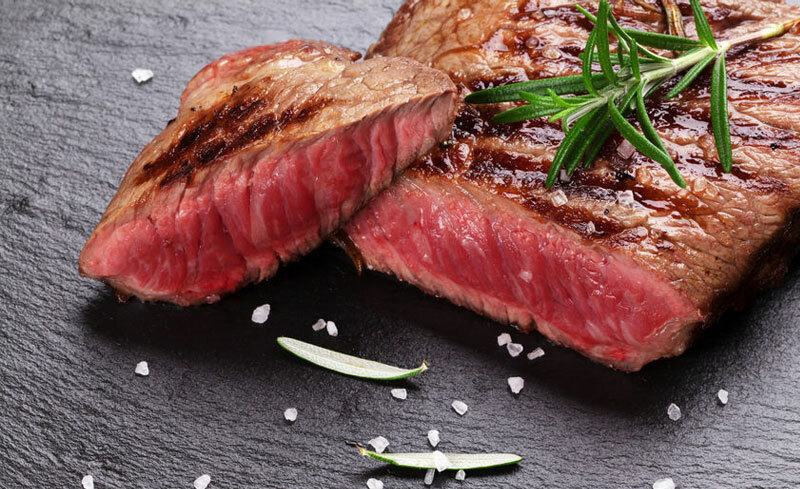 There’s no research to suggest that healthy adults should worry about high protein diets. A few years ago, it was suggested that high-protein diets could have an adverse effect on the kidneys by increasing glomerular pressure and hyperfiltration. There’s no evidence to suggest that higher protein intakes are bad for your kidney function in healthy adults. One study found that “protein restriction may be appropriate for treatment of existing kidney disease (but there’s), no significant evidence for a detrimental effect of high protein intakes on kidney function in healthy persons after centuries of a high protein Western diet”. Those that have advanced or even early-stage kidney disease however, may want to reduce protein intake. High protein diets are currently considered safe in adults with healthy kidney function. 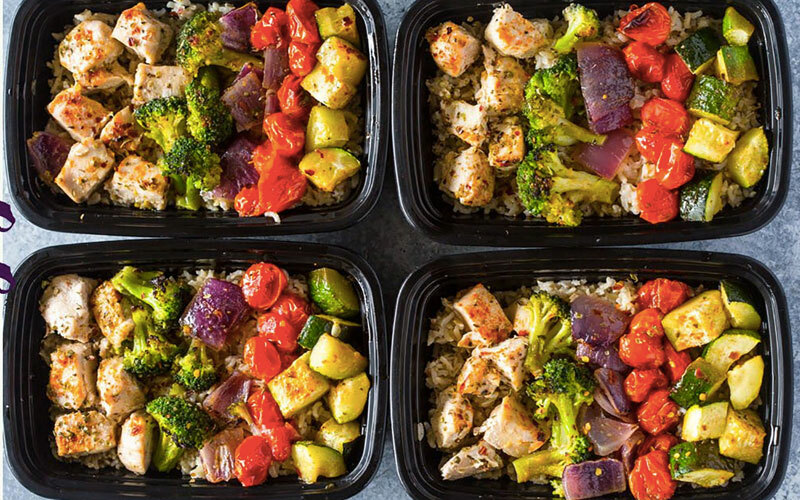 Use these meal plans to optimize body composition, aesthetics and athleticism. Protein is a macronutrient that plays an important role when it comes to muscle building and weight loss. If you want to optimize body composition, health and athletic performance, a high-protein diet is important. Alberts, B et al. The Shape and Structure of Proteins. Molecular Biology of the Cell.